Transcribed, arranged, orchestrated and conducted by Sy Johnson. Transcribed by Hug Miller. Orchestrated and conducted by Alan Raph. Conducted by Teo Macero. Transcribed, arranged and orchestrated by Sy Johnson. Arranged, orchestrated and conducted by Sy Johnson. Arranged by Charles Mingus and dictated to Bobby Jones. Conducted by Sy Johnson. Orchestrated by Charles Mingus. Conducted by Alan Raph. 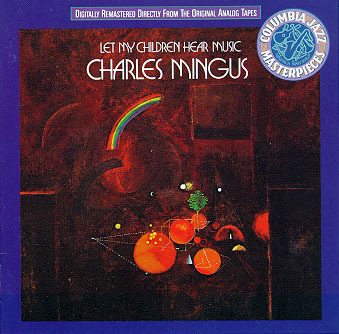 Recitation by Charles Mingus. Scored by Charles Mingus, especially for this date, for small jazz orchestra with ten piece traditional orchestral accompaniment. Large band arrangement by Sy Johnson. Original liner notes included an article written by Charles Mingus, which is not included with CD. However, it is available in More Than A Fake Book or on this site. Catalog number 472349 2 is printed on the CD surface instead 471247 2.